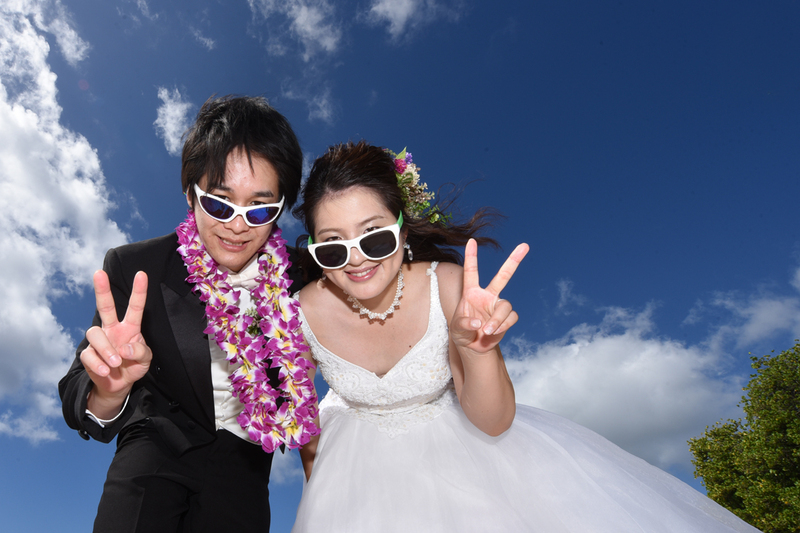 Japanese couples sometimes prefer not to smile when shooting photos, which can pose a challenge to the Photographer. 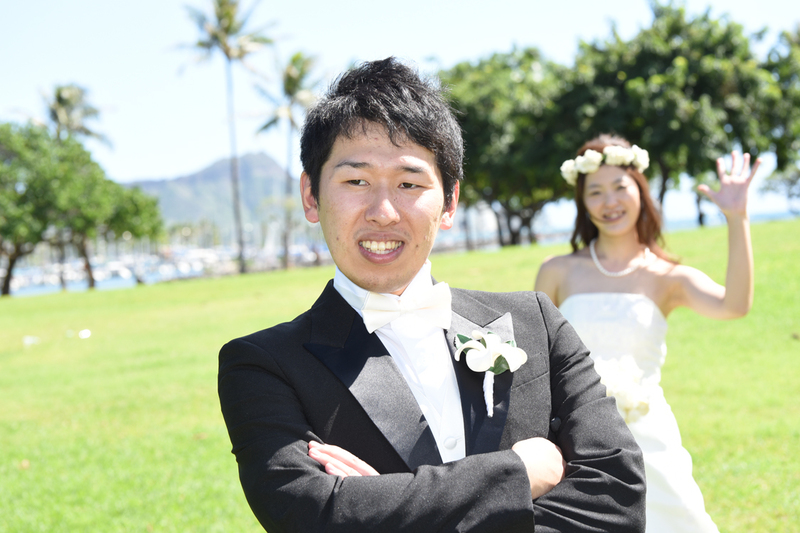 But challenges encourage progress. So all types are welcome. Photos still look great! 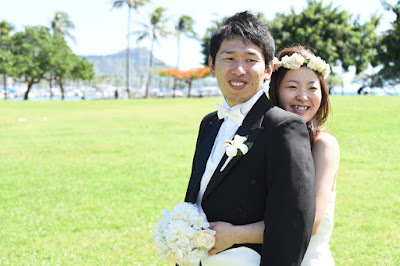 Aloha from Kazuhiro and Yuko at Magic Island in Honolulu Hawaii! 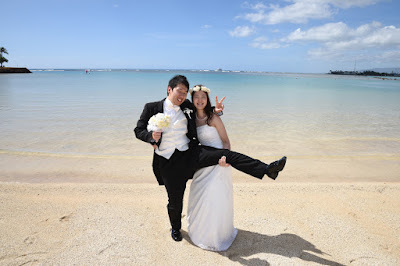 A nice mix of upbeat & spunky, with romantic and intimate. Just right! Tatsuya and Jun shoot wedding photos at Ala Moana Beach Park. Lots of variety in a small area. No need to walk very far from the car to get great shots. 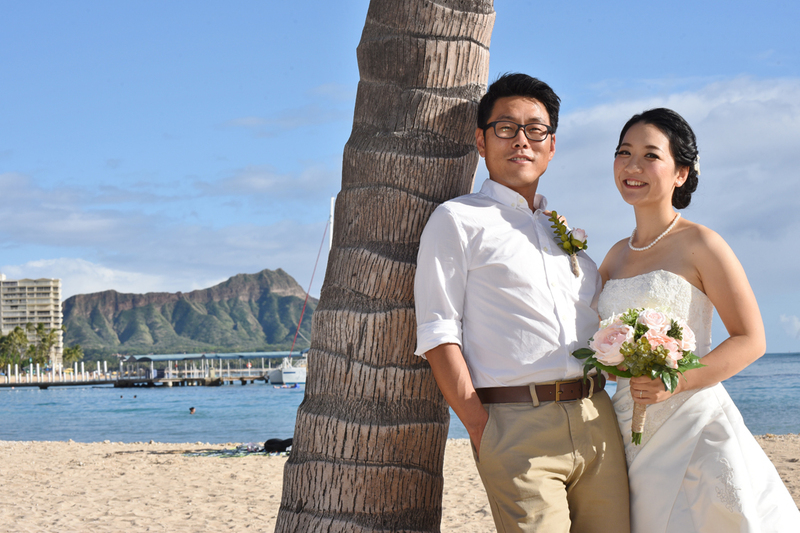 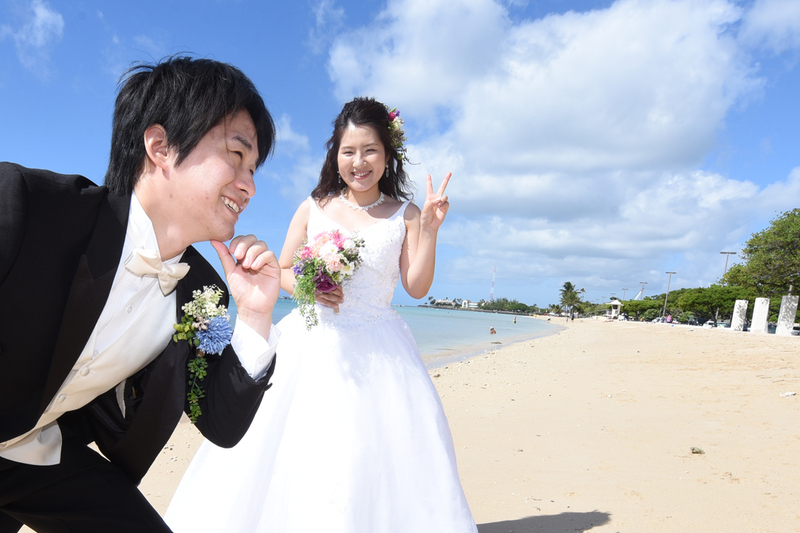 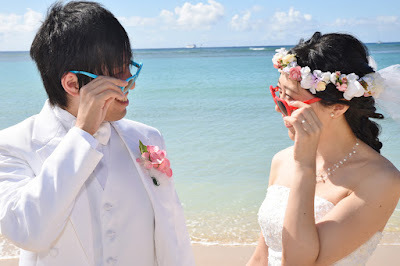 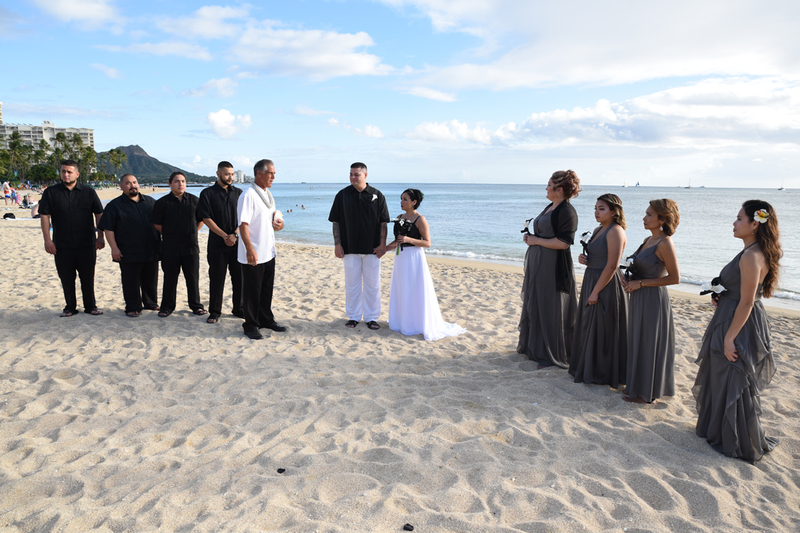 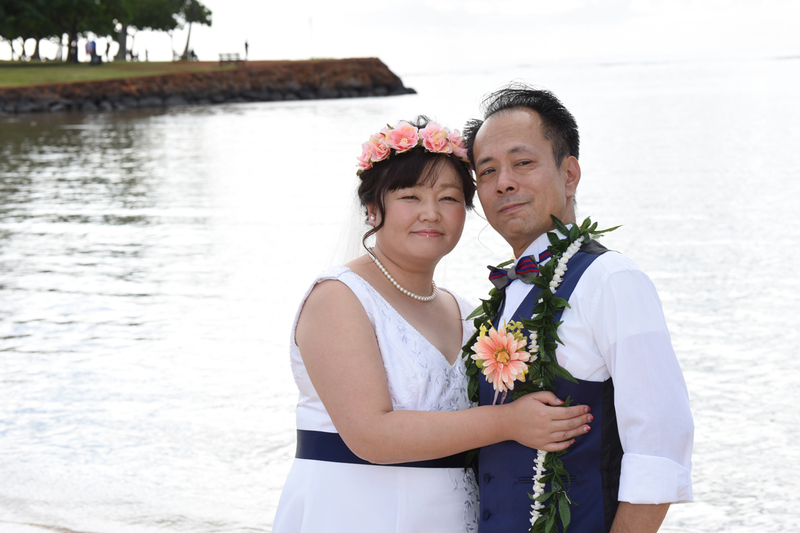 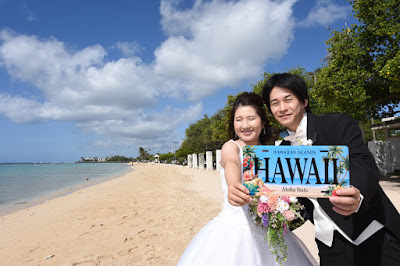 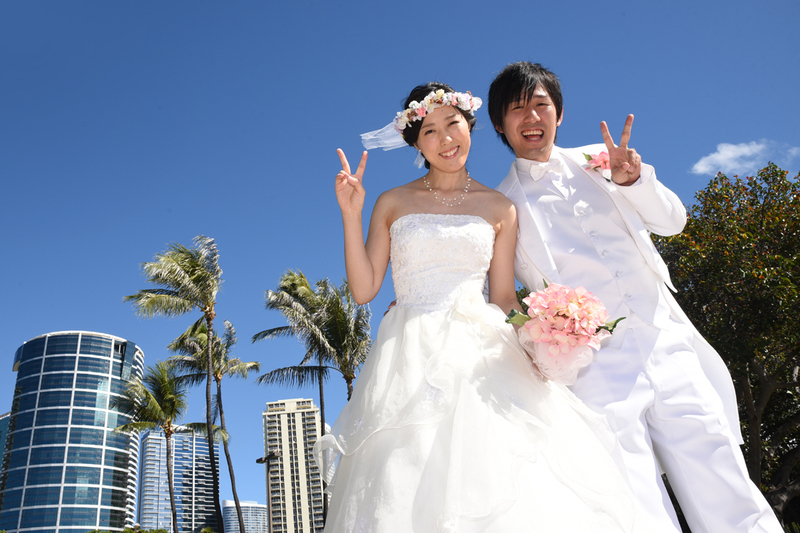 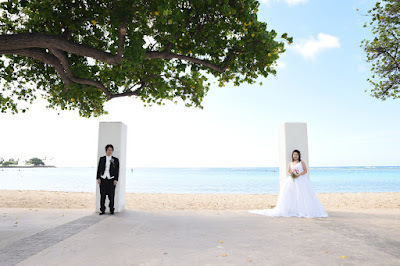 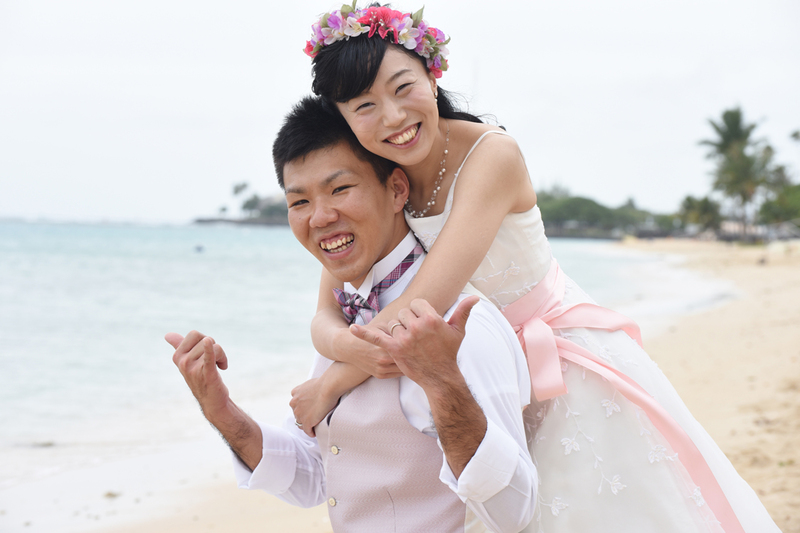 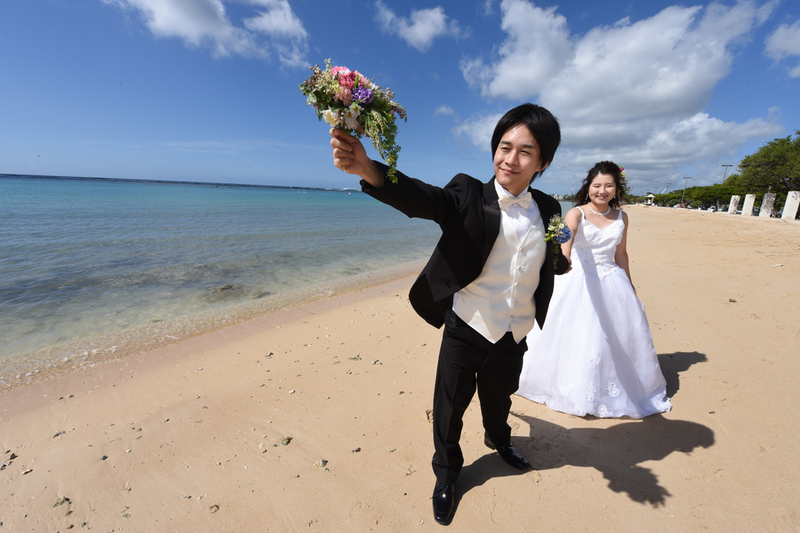 Korean and Japanese couple Jun and Noriko call Photographer Robert for wedding photos at Waikiki Beach. 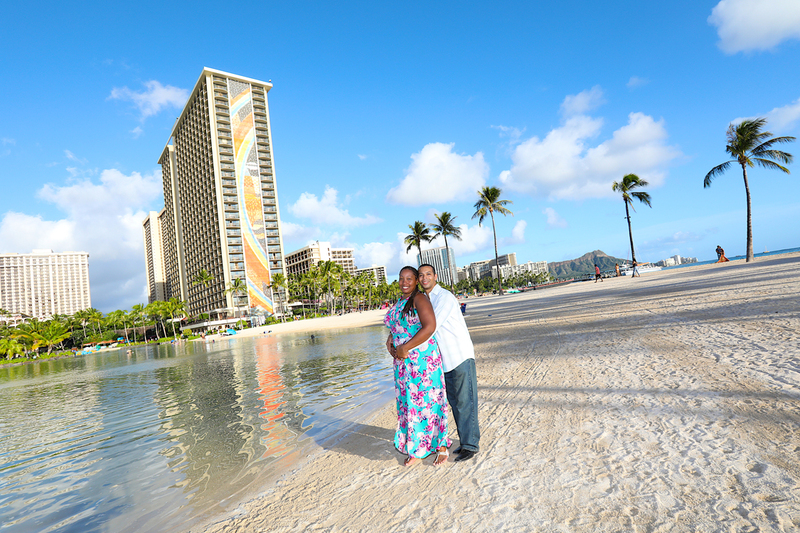 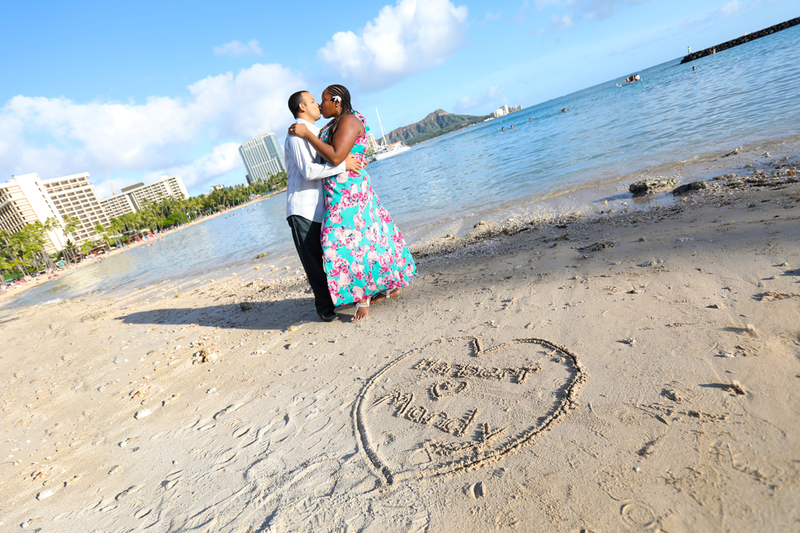 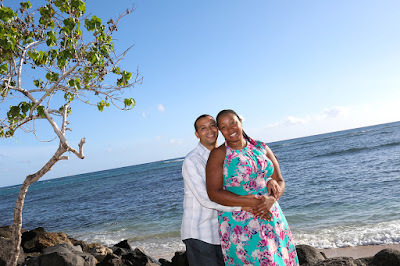 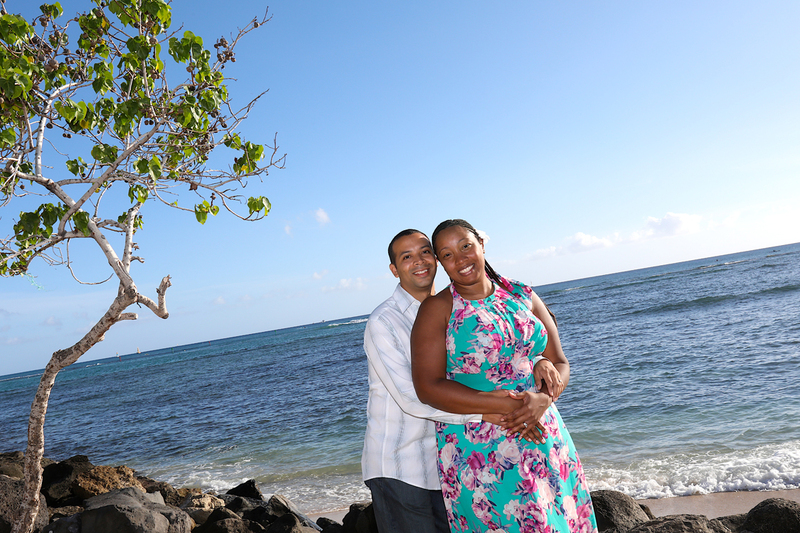 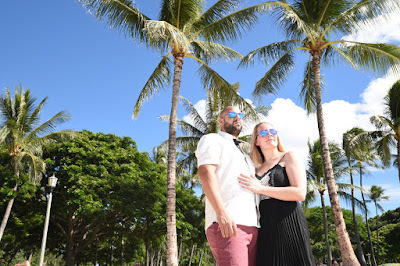 Just steps away from your hotel are rich locations to shoot beautiful photos in Waikiki. Howell and Robin are not afraid of a little rain. 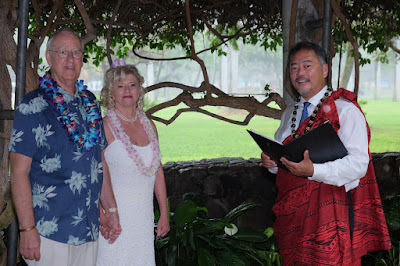 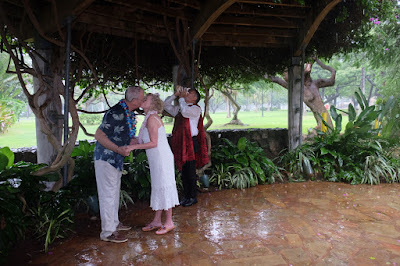 Not enough to interrupt their Hale Koa Gazebo wedding. 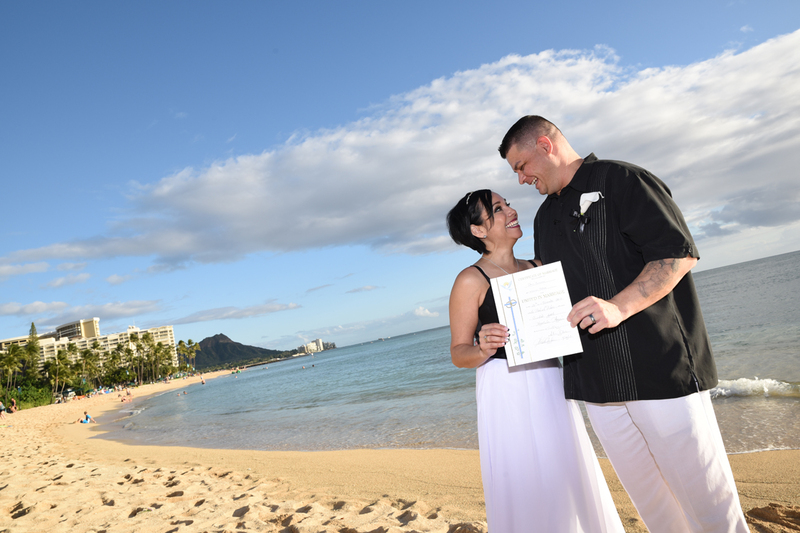 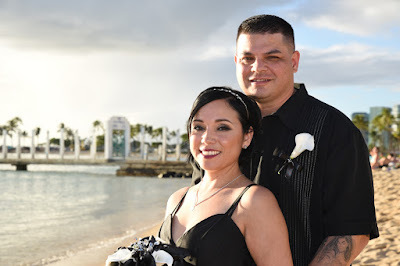 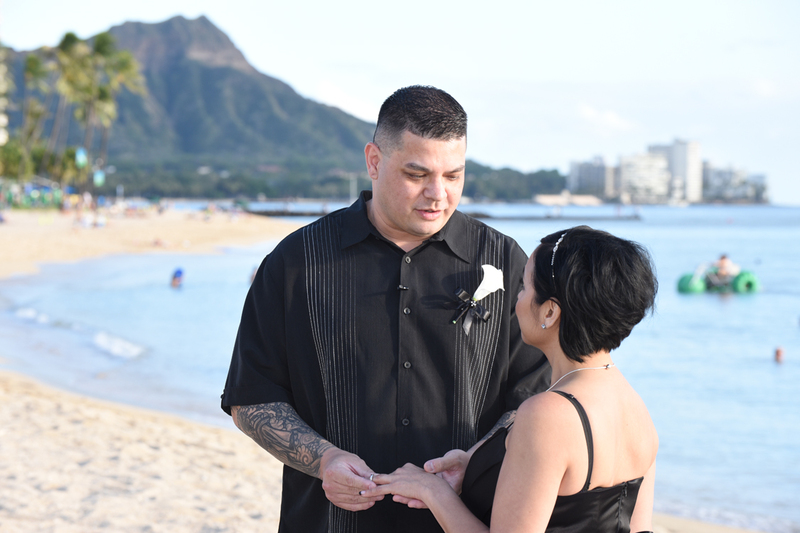 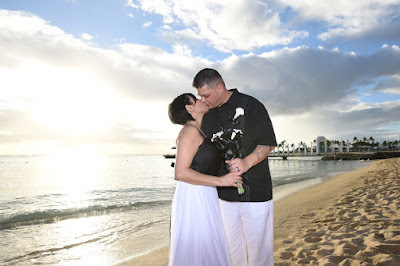 This Waikiki wedding venue is for Military active duty and retired. 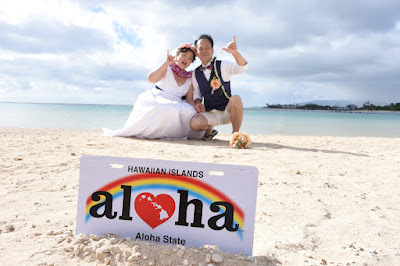 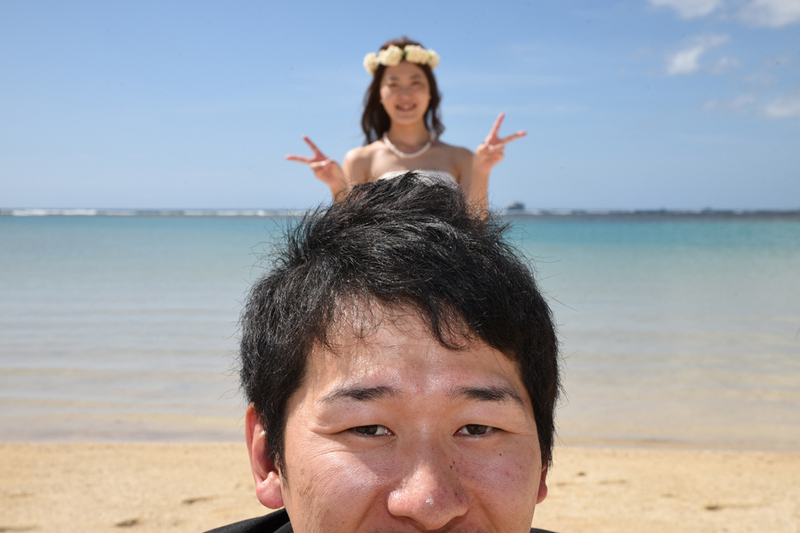 This is the popular style for Japanese honeymoon couples in Hawaii, with photo props and silly angles. There are three main spots we use at the "Ewa" end of Waikiki, all a short walk from each other. 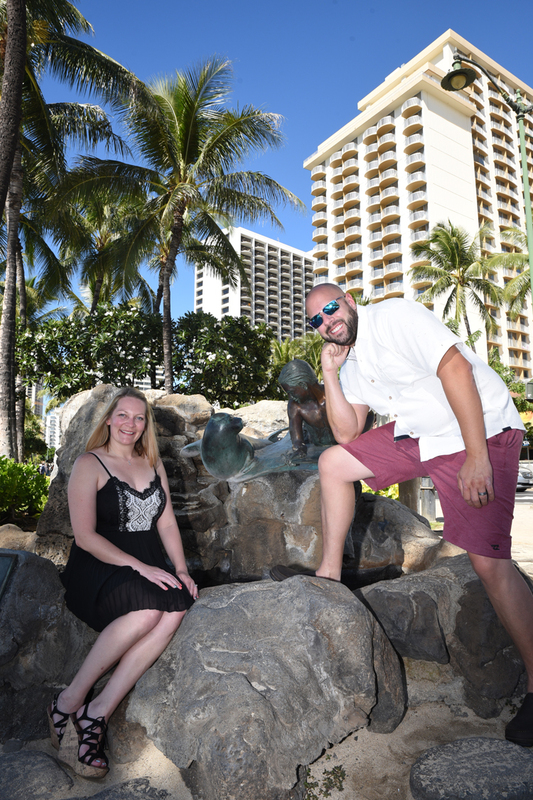 This spot on the left is called "Duke Kahanamoku Beach", but we just call it "Waikiki Beach". 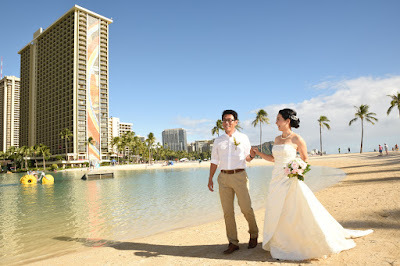 The photo above is "Hilton Lagoon" with the Hilton Hawaiian Village (Rainbow Tower) in the background. The photo on my right is a somewhat hidden little beach for the surfers I call "Ala Wai Beach" right by Ala Wai Boat Harbor. 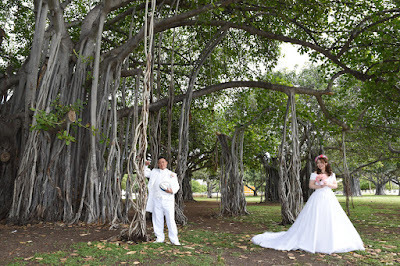 Love the orange flower tree! 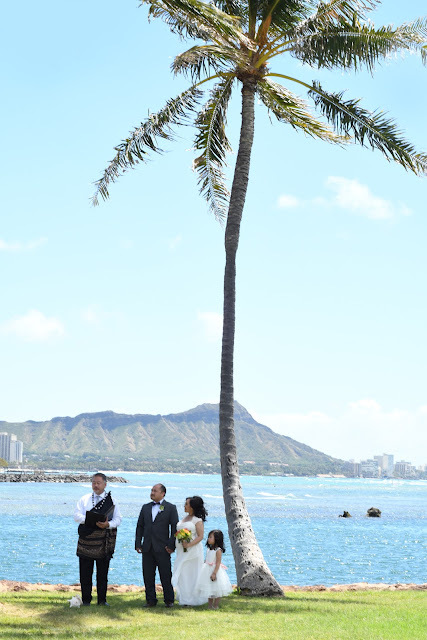 Nice place to stop for another Hawaiian wedding photo. 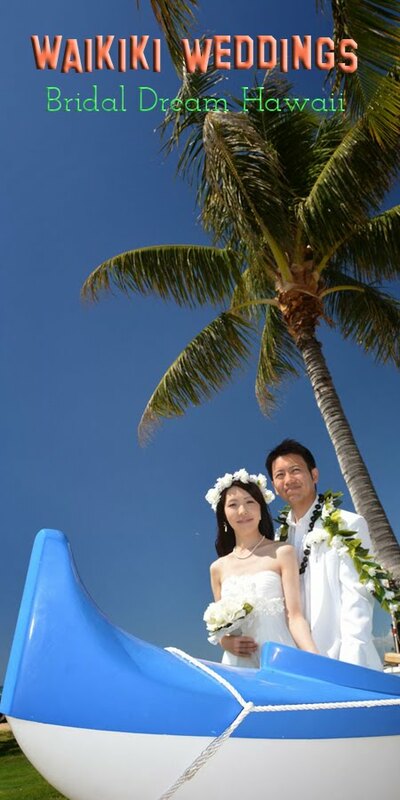 Lots of fun in the sun with Japanese honeymooners Noriyuki and Emiko. 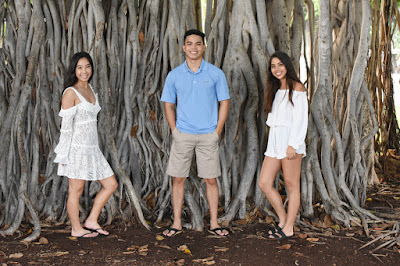 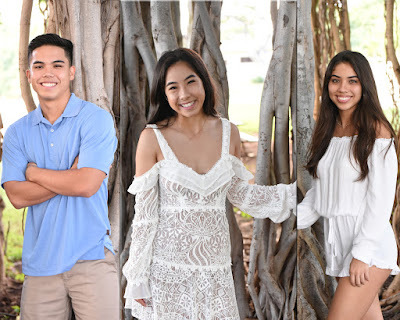 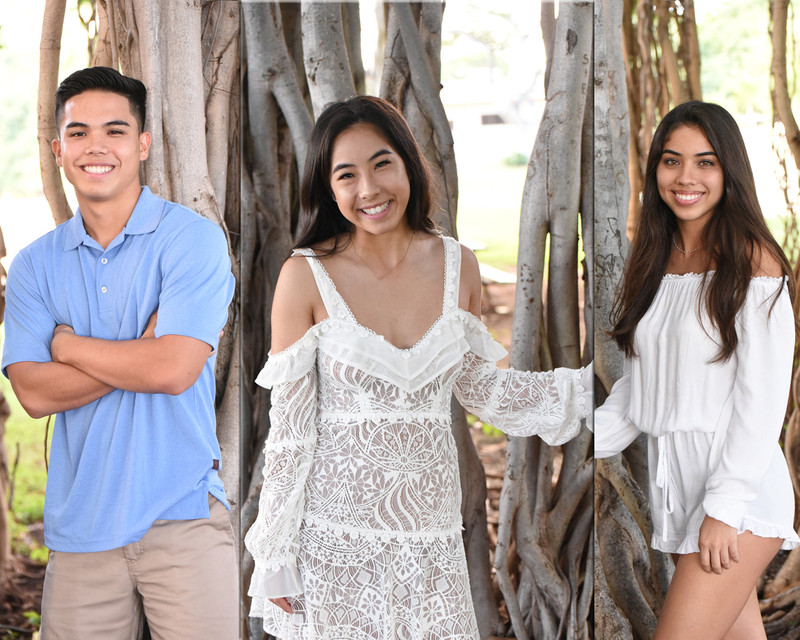 Being a Photographer in Honolulu, Robert Hamilton also shoots family photos and parties, in addition to wedding and honeymoon photos.